Light up the night, festive and bright, share all your plans with a ritual light! 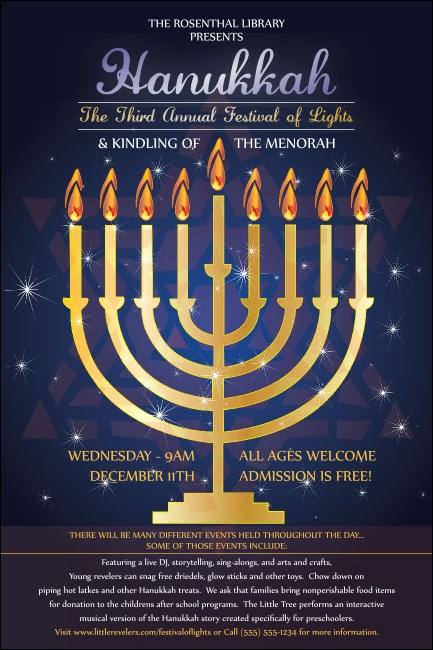 When you're ready to kindle the ner Hanukkah with a crowd, the Hanukkah Menorah Poster helps communicate all the details of your event. You get eighteen lines of customizable text along with the beautiful image of a hanukkiah illuminating the darkness. Save a little gelt when you order economical Posters from TicketPrinting.com.